Whenever you search for something on YouTube while signed into your account, your search term is stored in your account search history. If you don't want YouTube keeping track of what you searched, you can clear your YouTube search history any time you want. Why Clear Your YouTube Search History? 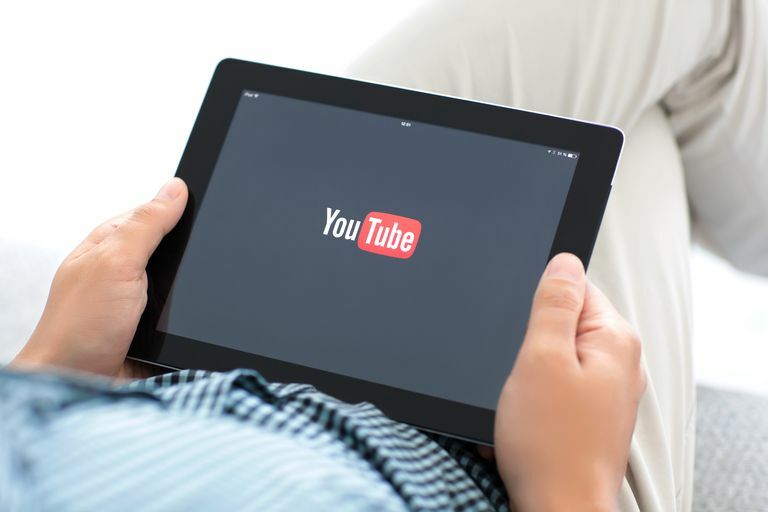 Don't worry—your YouTube searches can't be seen or accessed by any other YouTube users or people who visit your channel. But your search history does influence how YouTube chooses to show content to you. YouTube displays a selection of recommended videos on the home page of your account based on your search history. When your YouTube search history is cleared, these recommended videos will no longer reflect what you've previously searched. Your search history also prompts YouTube to automatically suggest past searches in the dropdown menu that appears when you start typing in the search box. These past search suggestions will no longer appear once you've cleared your search history. You can also clear your Google search history. Sign into your account at YouTube.com. Click on History under the Library section in the vertical menu to the left. On the following page, click to select the Search history option under History type on the right. Clearing search history on YouTube.com. Click the link labeled CLEAR ALL SEARCH HISTORY under History type. You can delete individual searches instead of clearing them all in one big sweep. Searches are listed in the center of the History tab from most recent at the top. Click on the X beside any individual search to delete it. Open the YouTube app on your device and sign into your account. If you're on an iOS device, tap your account profile photo icon in the top right corner of the screen. If you're on an Android device, tap the menu icon represented by three vertical dots. On the following tab, tap Settings. On the next tab, scroll down (on iOS) or tap (on Android) to view the History & privacy section, then tap Clear search history. Clearing search history on the YouTube iOS app. A popup box will appear asking if you're sure you want to clear your search history. Tap OK to clear it. You can delete individual searches from the YouTube app by tapping the magnifying glass icon to bring up the search function. A dropdown list of your previous searches will appear beneath the search field. On iOS, swipe left on any individual search and tap the red Delete button that appears to the right of it. On Android, tap and hold a search term. A popup box will appear where you can tap Remove to delete it from your search history. Clearing your search history all the time can be inconvenient. A better option would be to pause it so that YouTube temporarily stops tracking it. It will remain on pause until you turn it back on again. On YouTube.com, pausing your search history can be done by clicking the History tab. Click PAUSE WATCH HISTORY to the right of the screen. Pausing search history on YouTube.com and the YouTube iOS app. On the YouTube iOS app, tap your account profile photo icon > Settings > Pause search history. On the YouTube Android app, tap the menu icon represented by three vertical dots > Settings > History & privacy and then tap to toggle the Pause search history option.